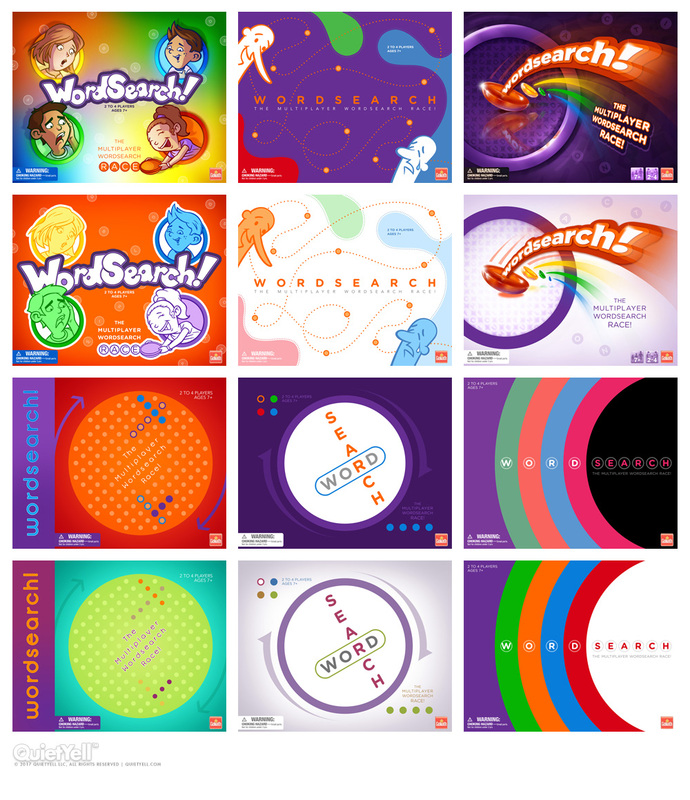 It was my pleasure to work on box cover concepts for Goliath Games’ popular Wordsearch game. Each of the concepts focused on a nuanced approach for niche placement and have a variation which could also be considered for additional game editions. Pictured are: 1) Fun Play (Family); 2) Search Competition (Party); 3) Fast Action (Mass Market); 4) Game Play (Intellectual/Educational); 5) Concept (Specialty); 6) Minimalist (High End). Additional considerations were given for printing treatments as well as box structure.